Your folks deserve the best care and comfort. Belmont House has been a care home since 1987 and in that time has had only two owners. The Georgian property is set in lovely private grounds with a south facing garden where residents can enjoy those sunny days any time of the year. Wheelchair access to the garden is available through our beautiful conservatory at the front of the house. Belmont is situated in a great location for access to the town and local amenities where residents can easily pop into town to do a little shopping or catch up with friends and family for a coffee. We have 21 very nice rooms tastefully decorated giving that homely touch. Our lift enables residents to access all floors of the house where on the ground floor you will find a very pleasant dining room, conservatory and two further lounges. We believe the core values of care must include, respect, fulfilment, dignity and independence. Meeting these core values can only be achieved through good leadership, efficiency and positive effectiveness of the care given by the whole team. Our residents are valued and respected where each person is given a voice to express their wishes. Comfort, laughter, compassion and healthy living is what we strive to achieve for our folk so that they may enjoy a good quality of life. A great team of carers, housekeeper, cook and kitchen staff complete our team at Belmont house. 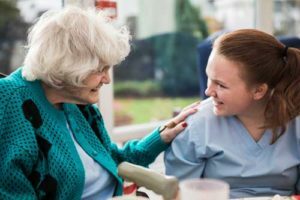 A vast range of qualifications and continuing training for the staff ensures that they meet cqc standards which is crucial for the care of our folks.